Joseph Sena, a New York based immigration attorney, joined our office as “Of Counsel” immigration expert in 2018. 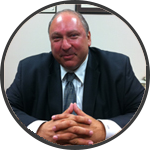 Mr. Sena has more than 30 years of experience in immigration and naturalization law. He has represented individuals and companies across the United States, arguing cases in New York, Louisiana, Florida, Texas, and California. In addition, he has argued cases before the U.S. Supreme Court. Joseph Sena handles a wide array of visa issues and has successfully represented clients all over the world seeking employment based visas, business visas and family based visas. Moreover, he also deals with asylum petitions and deportation cases brought before Immigration Judges. Given his extensive and specialized experience in immigration matters, Joseph Sena frequently gives speeches to various organizations throughout the Country.